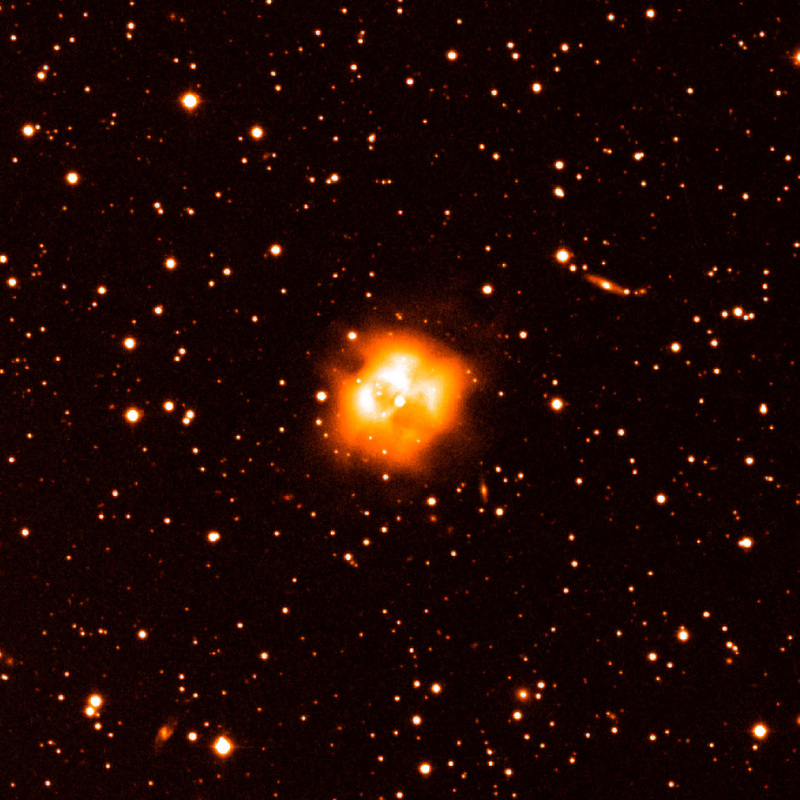 One of the most common methods to measure chemical abundances in the Universe is the study of the emission of the ionized gas that composes a number of nebulae related to both star formation (HII regions) and death (planetary nebulae, supernova remnants, stellar outflows). However, it is well known that in all these nebulae the computed abundance values depend on the kind of emission lines considered. Specifically, optical recombination lines (ORLs) provide chemical abundance values that are systematically larger than those obtained using collisionally excited lines (CELs). The abundance discrepancy factor between ORLs and CELs is usually between 1.5 and 3, but in planetary nebulae it has a significant tail extending to much larger values. This is generally known as the "abundance discrepancy problem". It has been around for more than seventy years, and is one of the major unresolved problems in nebular astrophysics. Spectroscopic observations with the William Herschel Telescope of three planetary nebulae have shed new light on the problem. 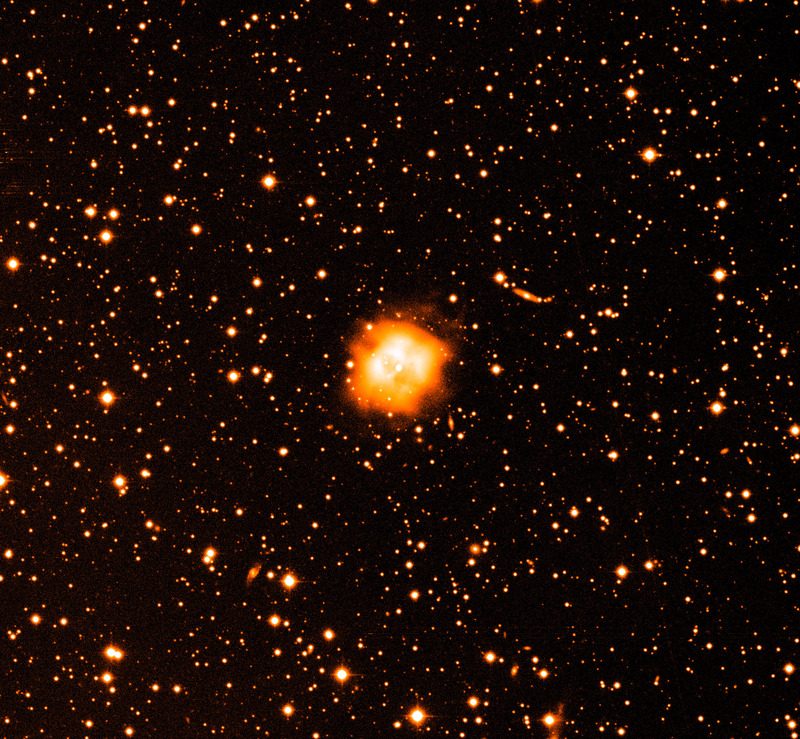 Astronomers from the Instituto de Astrofísica de Canarias have shown that the largest abundance discrepancies (as high as 300 in certain positions in the nebula, see Figure 1) are reached in planetary nebulae that have a close binary central star. 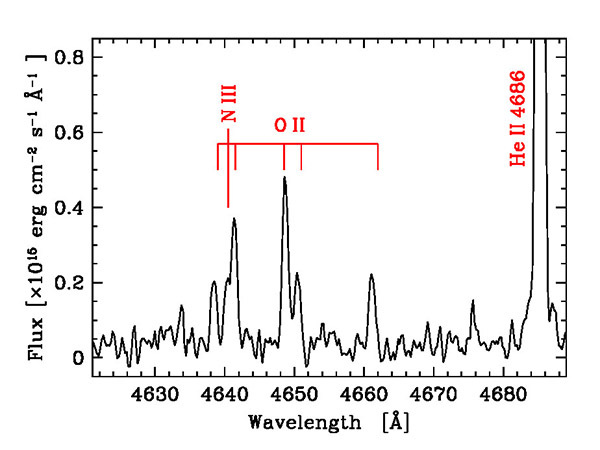 The spectroscopic analysis supports the interpretation that two different gas phases coexist in these nebulae: hot gas at 10,000 K with standard chemical abundances metallicity where the CELs can be efficiently excited, and a much cooler (~1000 K) plasma with a highly enhanced content of heavy elements (which is the cause of the cooling) where only ORLs form. This dual nature of the stellar ejecta is not predicted by mass loss theories. How much each gas component contributes to the total mass, and how they are distributed and mixed, is poorly known. 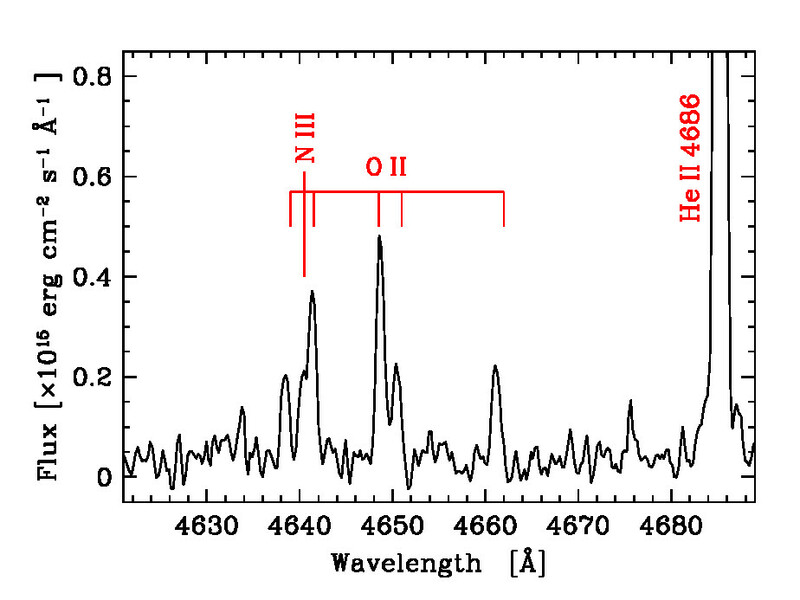 Figure 1: INT Hα image of Abell 46, one of the planetary nebulae studied in this work, and the one with the highest abundance discrepancy found so far [ TIFF | JPEG | JPEG (inset) ]. These observations add a new unexpected ingredient to understanding the abundance discrepancy problem: high abundance discrepancies should be explained in a framework of binary evolution. Several explanations have been proposed, some of which are naturally linked to binarity, like the hypothesis that the ORL emitting gas is high-metallicity ejecta from nova explosions. Other explanations involve the presence of planetary debris that survived the whole evolution of the central stars, or -as proposed in this study- the effects of tidal destruction, accretion and ejection of Jupiter-like planets. At this stage it is difficult to favour any scenario because observational constraints are still limited. Very deep spectroscopy at the highest spatial resolution is perhaps the key to gain further insight into this relevant astrophysical problem. Figure 2: Portion of the WHT spectrum of Ou5. Some of the strongest OII and N III ORLs are indicated. These lines are extremely faint in most ionized nebulae, but in objects with large abundance discrepancy factors can reach an intensity of few percents the flux of the hydrogen Hβ [ JPEG ]. Romano L.M. Corradi, Jorge García-Rojas, David Jones and Pablo Rodríguez-Gil "Binarity and the abundance discrepancy problem in planetary nebulae", 2015, ApJ, 803, 99. Paper. "Binary stars in the heart of planetary nebulae give clues to understand the chemistry of the Universe", IAC-Excelencia Severo Ochoa research news, 27th April, 2015.